NET have specialised in the repair and maintenance of Allspeed Kopp variators for over 45 years. 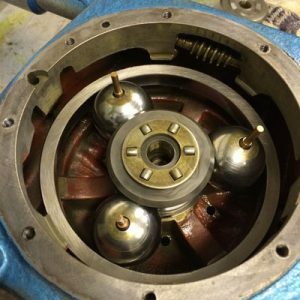 Our engineers have been formally trained by the gearbox manufacturer ensuring all our repairs are done to their own exact standards. Kopp Variators are mechanical variable speed drives or transmissions used to control speeds on industrial machinery. 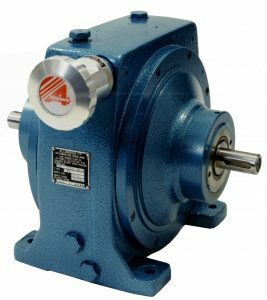 They are constant power torque converters with extremely accurate speed holding and reset ability. They have a very simple design using cones & drive balls to transmit power from the input to the output via two pressure devices. Is your variator beginning to slip or is loosing drive, or have speed fluctuations? This could be caused through using the wrong oil. It is also important that the Kopp Variators are filled to the correct level or oil. NET can offer you a top class service for your Allspeeds Kopp Variators. The Kopp variator offers all the benefits of similarly designed friction variators, but with the added advantage of a step less speed variation of 9:1. This means the output speed ranges from one third to three times the speed limit. Allspeeds Variators offer speed ranges from 11:1 variation and input powers 0.18kW to 25kW. Predetermined speeds can be quickly selected and accurately maintained. Readily adaptable to remote control and to applications requiring reverse rotation or braking. Compact design with in-line shafts combining easily with standard electric motors and gearboxes. Totally enclosed for use in wet or dusty environments or in hazardous locations demanding explosion proof work. Whether you require a repair or a new replacement unit, please feel free to contact our technical staff at any time. Please see our “Downloads” page for parts & dimensions lists.